The Mayor of Affton: Affton, Get Out of My Dreams and Into My Car! 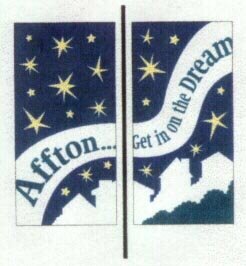 Affton, Get Out of My Dreams and Into My Car! Yesterday, in the Future Mayor's mail came a newsletter from St. Louis County Executive Charlie Dooley. (See Photo) I have long suspected Charlie of actually being 80's singer Billy Ocean (see smaller photo) but that's not important right now. I've never met Charlie, but an associate of mine worked on his campaign. Not only is he from my original home municipality of Normandy, but apparently he's one funny, sarcastic, menthol-smoking dude. Anyway, I like that he' s resurrected the Citizen Newsletter called "St. Louis County Direct" after a three-year hiatus. I quote our president when I sum up Charlie's newsletter in one word..."Strateegory". This man has plans. I must say that I personally did not give a crap about the new playgound in Spanish Lake Park (I'm sure it's great), but from this letter I learned two important things. First, that the County is updating it's Strategic Plan. This is updated every five years and is designed to plan for county programs, preservation, transportation, health and other issues. There are several town hall forums and I need to go to at least one to present my concerns and ideas for Affton. It's a growing list so I may have to attend all six of them. Second, UMSL's Public Policy Research Center has been awarded $200,000 in a grant money to fund community building in Affton. I have already been in contact with the project coordinator to get involved. I'm all over that. That information lead me to finding the Affton Community Betterment Association. Where the hell has this been? There's some sort of ACTION committee? Where are they promoting this? I've lived here three years and never heard of them. If you Google Affton right now, you find links to some real crap, if anything. One can find information about Pee-Wee hockey in Affton far easier than one can find the Betterment Association.!! It's proof positive that our priorities need to get back on track. Apparently they are the group behind these signs (shown above) on some of the light posts around town. I must infiltrate their ranks immediately. That's going to be difficult however as they meet at 9 A.M. How is THAT serving the community? We're not ALL retired! You Go! Mr. Future Mayor of Affton. I'm with you. I have noticed two things. 1. "The impetus of democracy cannot be left in the hands of men who squabble while others hobble." I am not sure who said that. Perhaps it was Tom Conway? Well, it is as true today as it was whenever Mr. Conway (or whomever) uttered those words such a long time ago. This direct neglect of a strategic plan for an area that could, one day, rival Ellisville, (it COULD happen), is a downright disgrace. Nearly as much so as my daughter's failure to allow me to take a paternity test to prove, once and for all, that her daughter is not also my daughter, if you catch my drift. 2. Speaking of Drift, where are those guys these days? I have been craving their warm melodies wedged in between two slices of rhythm and percussion. Is the rumor true that they've joined Sun Sawed in Half in Russia? Or was it Prussia? I don't remember. I must go and take a bath now to rid myself of this stank of shame.